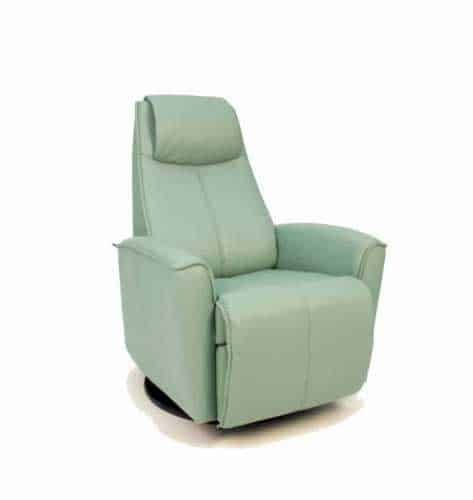 Fjords General Recliner with the variable adjustment provides continuous support and prevent your legs and back from tiring and it is available with bases which have a 360° swivel. The base is produced in laminated, stained wood which gives it an elegant character. You can choose between two different bases. 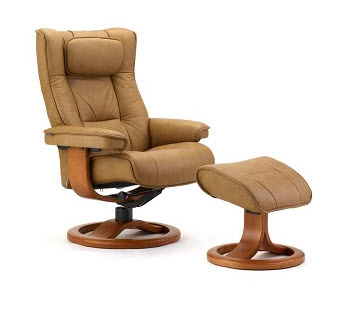 The Fjords General Recliner is available in two sizes, small and large. A matching ottoman is also available. Nordic Line is a fully protected top grain leather which undergoes careful processing to ensure a finished product that is more resistant to liquids and sunlight. This treatment also protects Nordic Line leather from stains and minor wear while reducing everyday maintenance to an absolute minimum. 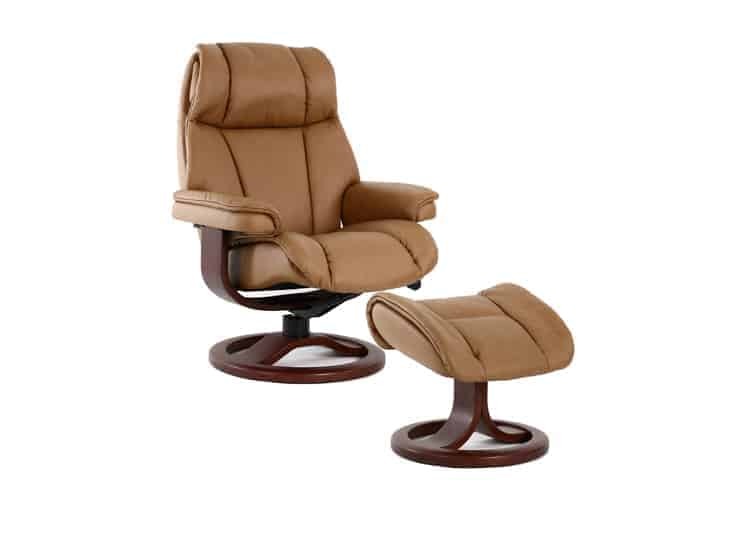 Soft Line has a unique softness and natural feeling for added comfort. 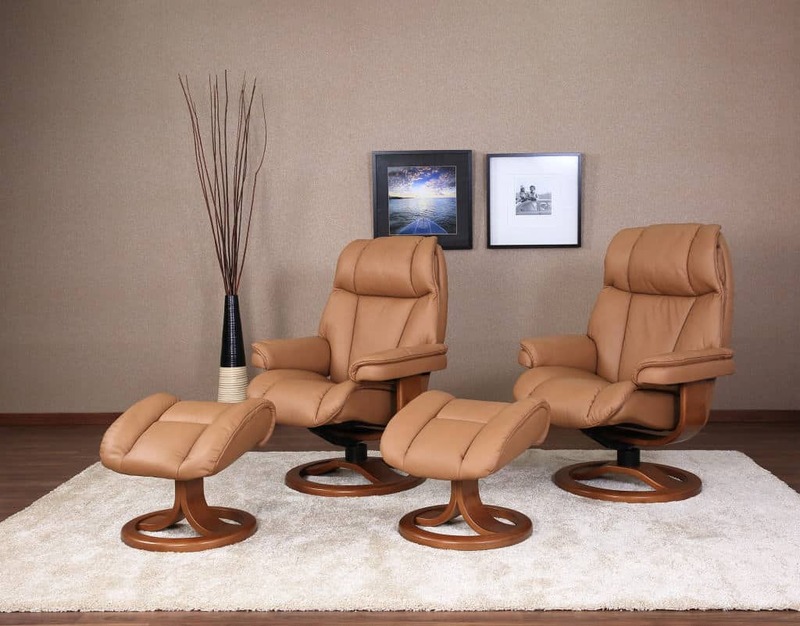 Soft Line leather is treated with a delicate, protective finish that protects against stains and improves resistance to liquids. 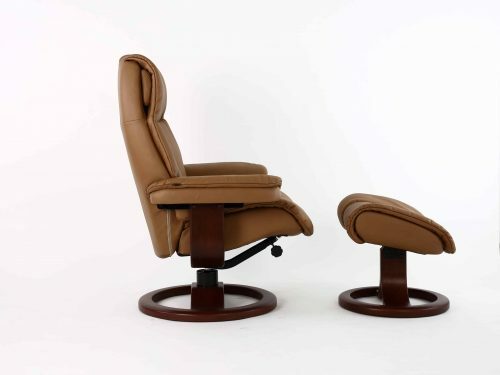 Soft Line is an ideal solution for families that want to enjoy the pleasure of quality leather furniture without having to alter their normal routines in order to maximize the life of their furniture.